I came across this wonderful blog of historical photos recently. 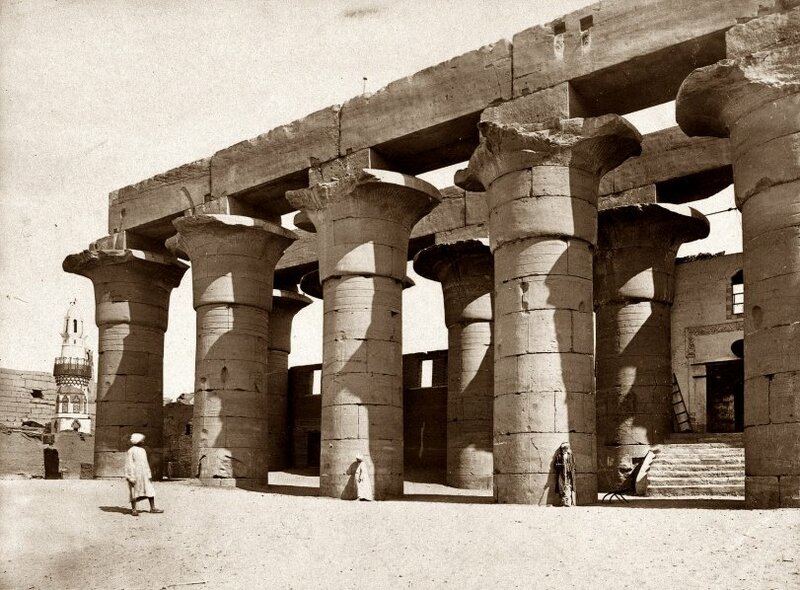 The photo above was taken in 1858 of the temple at Karnak. It is interesting to look up modern photos on Flickr of these same things. For instance the columns in the above photos seem to have all been excavated in the last 150 years and now you can see how tall they really are.